See list below and PHOTOS of some specific item further down this page. Myford cabinet stands for sale. Industrial or standard, long or standard bed Myfords. We have a HUGE selection of genuine Myford accessories for sale. Dividing heads. The Myford one is the one to have. Collet chucks and collets, lever action Myford collet chuck or the standard one. Gears, all sizes available and some unusual ones too. Coolant pumps and reservoirs, single or 3 phase. We do have other items that might be of interest so please call or pop in. We are also more than happy to take a note of your ‘Shopping/Wish List’ and keep an eye out for less common items you might want. We can then give you a call if and when they turn up. You are most welcome to call Howard at any time on 01225 812155 or 07753 610420 to discuss or reserve any items for sale here. rare gears for Super 7, ML7R, ML7 & ML10. One opportunity to buy some rare size gears. Fits Myford ML7, ML7R or Super 7 lathes. Quality build. 3.5" diamater ability. New pair of boxed steadies, fixed & travelling. From the original Myford Nottingham factory. Super Versatile Vertical Milling Slide. With machine vice. Suitable for all sorts. Very useful clamping plate too. outside adjustment, ID of about 9.4mm. Myford Super 7 or ML7R lathe tailstock. Later model with top clamping handle. Originally green, has been repainted. Myford, Cowells, Boxford, Westbury, Thomas. head for milling machine or Myford lathe. Very well built. George Thomas design. Dividing / Indexing unit with drill chuck. motor & switch for a Super 7 or ML7R. lathe. 1 Hp, 1425rpm, single phase, reversing. Ideal for Myford Super 7 or ML7R lathes. 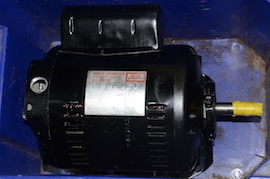 Other motors and switches available. Myford switchgear for Industrial Cabinet. Looks like 3 phase, but probably can be. modified to single. Nice panel condition. turning mount for lathe use. Super items. Take a close look ! lathe. Made by an excellent engineer. A one off. Use by spindle or tailstock. ML7R lathes. Rare & desirable item. for the Myford Super 7 or ML7R lathes. for the Myford ML7 lathe. ring. Complete with long screw, nut & gib. Genuine Myford Super 7 cross slide. Myford Nottingham one in nice condition. Has a couple of minor nicks on one edge. other lathes or other applications. milling spindle. Fits to a 1.25" post. Quite a rare item. Very nice. 2 genuine Myford Circular Saw Tables. Myford Super 7, ML7 & ML7R lathes. for Myford Super 7, ML7R or ML7 lathes. Comes with 3 holders as shown. ML7 or ML10 lathe. Boxed & Matching Jaws. lathe. Super condition & Boxed. chuck for a BIG BORE Myford Super 7. Super condition & Boxed. Quality precision. accept Myford standard bore chucks, etc. bearings. 15573 from Myford Nottingham. shank. M42.5mm x 2mm spindle nose. Proper Locking ring version ! BIG BORE Spindle thread on 2MT arbor. M42.5mm x 2mm spindle nose. Might have another, could check if required. lathe. Probably a Burnerd. Matching jaws. can be held by 3 jaw chuck. Large Jacobs drill chick on 2MT . Ideal for Myford lathe or similar. Quite rare so call quickly if needed. Rear tool post with topslide extension. For Myford Super 7, ML7R or ML7 lathes but ideal for the short ML7 cross slide. Myford Super 7, ML7R or ML7 lathes. A nice Ball Turning attachment. Ideal for work on a Myford Lathe. £85 SOLD but another the same available. rear tool posts for the Myford lathe. HK1070. cont rating for ML7 or ML10 lathes. metal tank & lathe switchgear. Three phase. Use with any lathe or milling machine. 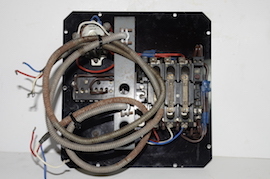 Rare Power Cross Feed Unit. Lathes. Forward/reverse & variable speed. production work with Myford's capstan unit. Rear tool post. Holds parting & boring tool. For Myford Super 7, ML7R or ML7 lathes. Extremely well made. Boring tool included. By Hattersley & Davison Ltd.
Myford Super 7, ML7R, ML7 & ML10 fit. Will fit the Myford lathes. With collets & Y. Very desribly John Payne designed mill. Myford Nottingham Multi Saddle Stop. Fits the Myford ML7R & Super 7 lathes. chisel rest, trav steady & spindle adapter. Super 7, ML7R & ML7 lathes. Wanner, Tecalemit & Reilang, etc. Myford 2MT collets. LARGE selection. Can be sold as sets or individually. Also closing tubes, noses & boxes. the Myford Super 7, ML7R & ML7 lathes. Myford Super 7, ML7R or ML7 lathe. Genuine Myford & original paint. stand for a Super 7, ML7 or ML7R lathe. Complete with drip tray & riser blocks. Originally from Myford in Nottingham. for Myford lathes. Additional riser block. Single or double gear indexing/dividing. One is boxed & new, other is super cond. these in green, silver or grey. Various dividing plates for lathe or mill. cutter. Includes Myfords plates 3 & 4. £195 Sold but another nice one available. vertical milling slide or lathe cross slide. Super 7, ML7, ML7R & ML10 lathes. £85 Sold but another nice one available. Some rare gears also in stock. threads on the Norton gearbox. Nottingham set, for £ 295.
arbors, etc. 1MT, 2MT, Dorma & others. tray, however collets etc. also available. ML7R, ML7 & ML10 lathe. ML7, ML7R & ML10 lathes. A lovely, genuine Myford riser block. A super condition Myford block. head on ML10, Speed 10 & Diamond 10. New hole in T trip need for alignment. Original switch bracket for Myford lathes. item for the Dewhurst switch. Genuine Myford fine feed tumbler gear. 12/30 tooth to reduce feed by 50%. 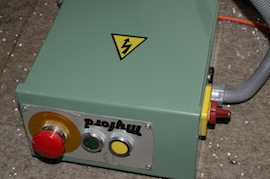 For used on the Super 7 & ML7R lathes. or ML7R lathes. With pointer &screw. Also green handwheels in stock. 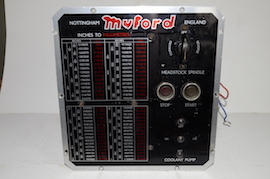 Genuine Myford thread dial indicator. Fits Super 7, ML7R & ML7 lathes. Complete with stud and nut. Available in Green or Grey. Use on Super 7, ML7R& ML7 lathes. dogs for between centres machining. We have Myford catch plates too. crossslide or vertical milling slide, etc. For Super 7, ML7 or ML7R lathes. £15 set of 4 long 6"
Used for work holding or positioning. Can be used with T bolts shown above. Clutch for Myford ML7 lathe. Complete unit in excellent condition. Pulley also available if needed. Almost new Myford Norton Gearbox. Will fit the ML7, Super 7 & ML7R lathes. for Myford Super 7, ML7R, ML7 or ML10. for Super 7, ML7R, ML& & ML10. Myford 6 station capstan unit. A lovely chisel tool rest. ML7R or ML7 for woodworking. made & supplied by Thorcraft of Hastings.